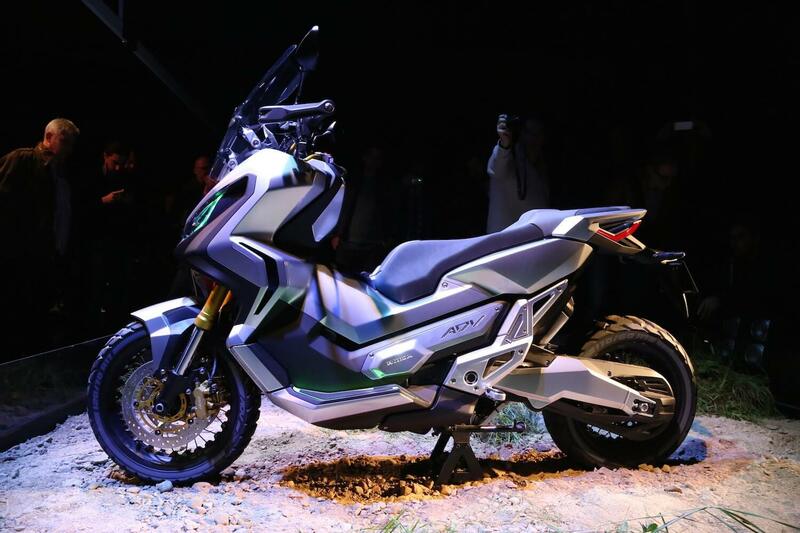 This is the fifth generation of Honda’s premiere category of four stroke motocross motorcycles. However, the bike is new in all its aspects. 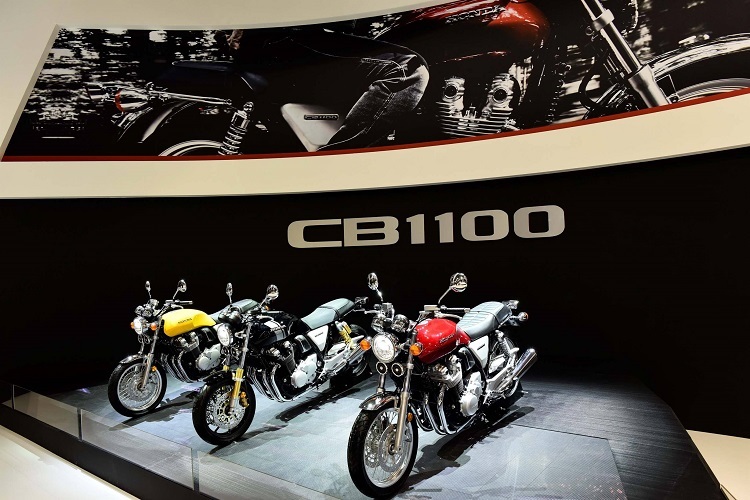 The bike is built by the concept of absolute Hole-shot. The bike was made to be faster through increased power output within the first 100 feet of the race. Other than the powerful engine, other factors such as the chassis and suspension make the bike superior. 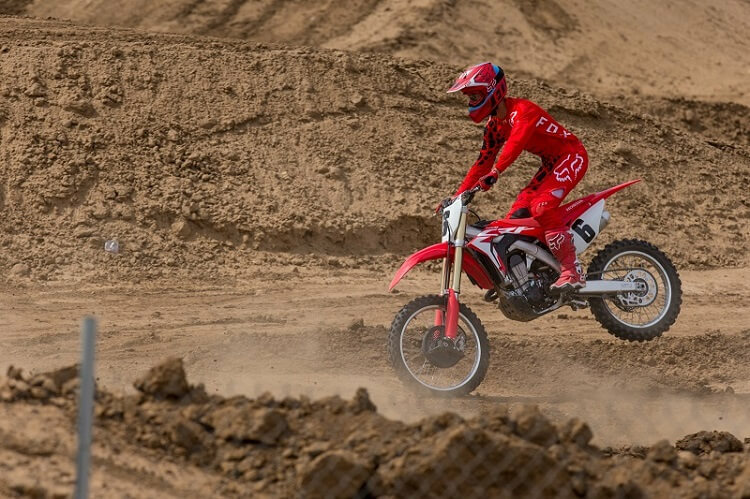 The 2017 Honda CRF450R comes with more horsepower from its engine. The engine is an improvement of the previous generations. The bike has a significantly improved bottom end power with the mid-range and top end powers also being improved. The increased power that the bike has implies less shifting. Less shifting is necessary in the straightaways , corners, and when moving uphill. The performance of the bike allows the riders to keep it in the 2nd gear in the higher rev range or in the 3rd gear in most track areas. The rider does not need to keep the bike short shifted to stay in the power band. The bike can keep revving as it maintains its pull. The bike has a new downdraft intake layout. The design allows better management of the air by facilitating the movement of the air travelling through the air box, throttle body, and the air boot to have straighter shot through the combustion chamber. The design of the concept is around lives and matches its name. The system comes with strong, linear power delivery that is ideal for its performance. With the bike, one can take around 0.93 seconds from a stop position to 15 feet. Despite the high amount of power delivered, the bike did not wheelie or loop during the movement. The chassis is lighter with a revised geometry. These features improve the performance of the bike through its effect on reduced torsion stiffness. These adjustments do not alter the lateral stiffness. This attribute results to better handling. These features improve CRF450R’s performance. The bike comes with a Showa fork diameter of 49mm which is a mm larger than the previous year. The forks are similar to the factory A-Kit suspension. These forks are much plusher and progressive. With these advancements, the bikes offer a more confident feeling when landing or jumping from a higher ground. The performance is improved in corners and braking bumps. Unlike the traditional bikes that are adorned with plastic fuel tanks, the 2017 Honda CRF450Rhas a titanium fuel tank. The change improves the performance of the bike especially under tough conditions that the Honda is expected to ride. It simply takes one kick at the top for the bike to fire up. 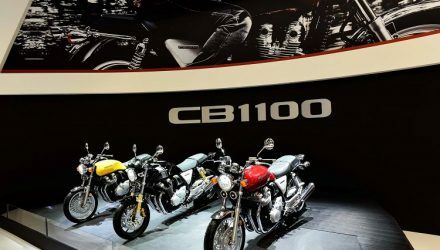 Honda has maintained the ease of starting its bike in this model. Whether the engine is cold or hot, the kick does the trick. It’s a kick and go engine performance. These tires are perfect for the challenging terrain. They perform well everywhere. They have a firm grip on the ground; offer the needed stability during movement. These tires are the most sought tires for competition. The bike comes with a plastic body work which forms part of the change in appearance. The plastic bodywork comes with smoother appearance with film inserted graphics that improves the look. The ultimate appearance is a futuristic look. The 2017 Honda CRF 450R has been described by those who have used it as a blast to ride. Some of the features that enhance this feel include the light weight, the chassis nimble feel that gives it dramatic effects from the improved coil springs forks and the enhanced engine power.